The Tottenham Hotspur 18-19 third kit introduces a bold and modern look. Initially expected to drop in September, its launched was pulled forward to August 11 and it will be debuted in the Premier League opener away to Newcastle United. 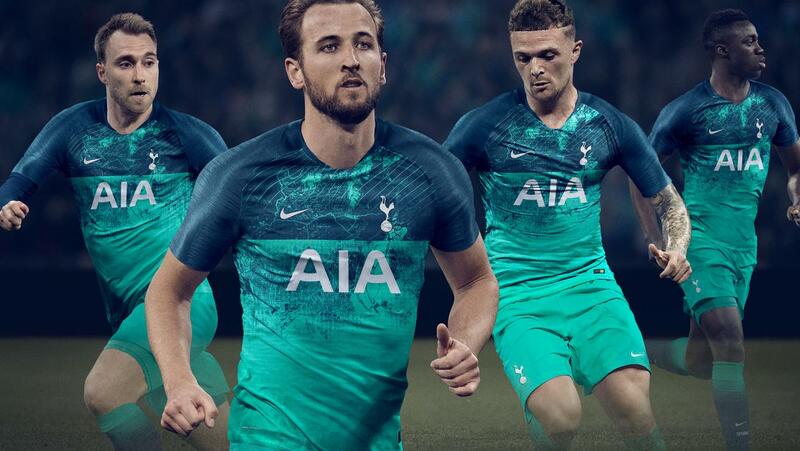 The Tottenham Hotspur 2018-19 third jersey features a bold design that’s split between a dark shade of green at the top and a brighter one on the lower two thirds, whilst boasting an eye-catching print on the front. 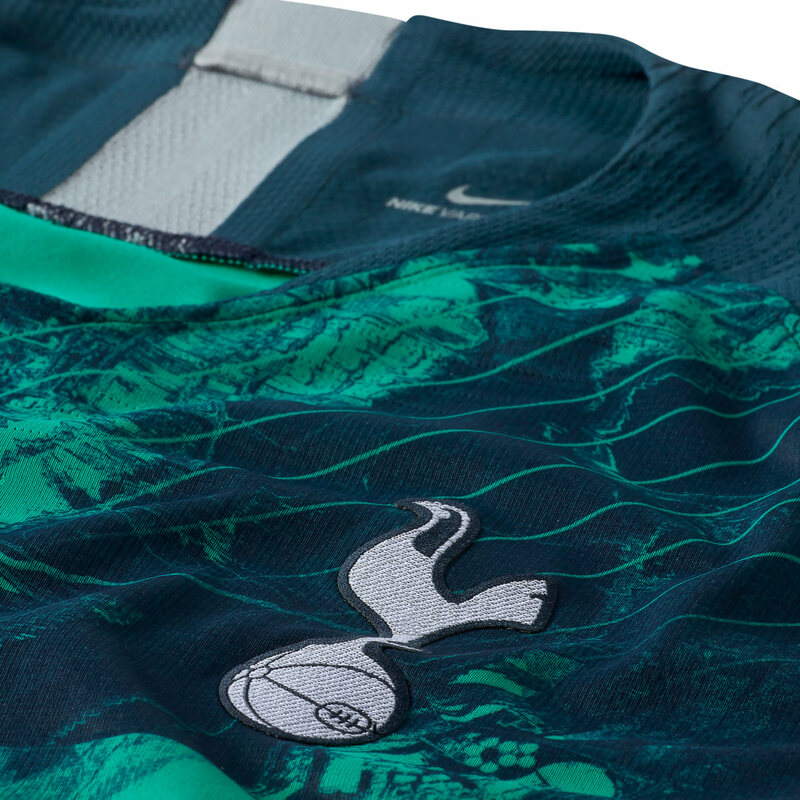 The sleeves of the Tottenham Hotspur 18-19 third shirt are dark green, the back is wholly colored in the lighter color. Metallic silver logos, including a monochrome club crest, complement the smart look of the Nike Tottenham 2018-2019 third jersey; this is mirrored by the back neck tape. 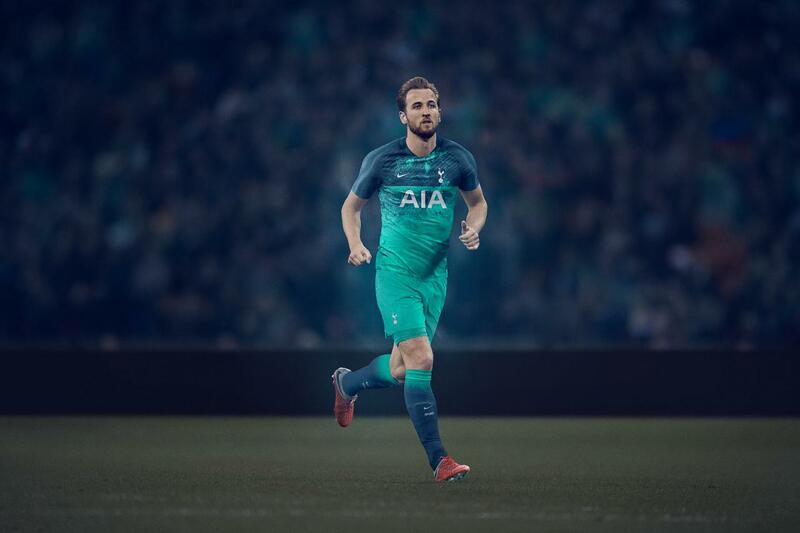 The shorts and socks of the Tottenham 18-19 third kit are green, with the latter featuring a gradient.